2007 has proven to be an invigorating year for content technologies. Microsoft transformed SharePoint into an ECM platform. IBM and Yahoo! released free search as an alternative to the Google Appliance. Web CMS vendors are falling over themselves to introduce new, Ajax-based, Web 2.0-powered platforms. What does it all mean? Do the enduring truths of content management still apply? What should managers be on the lookout for in 2008 and beyond? Join a panel of senior analysts and consultants sharing their thoughts about the future of content technologies. Frank Gilbane, CEO, Gilbane Group, Inc. In most enterprises, digital content doubles every 3 years. At the same time, customers and constituents want access to more of it, in the format they want, at the time they need it, organized carefully around their needs. Meanwhile, enterprises are accountable more than ever for the information they produce, publish, keep, and destroy. What’s a CIO to do? Join our panel of CIOs to find out how they’ve dealt with the explosion of demands in their enterprises. Everyone agrees that “social networking” presents a potentially very powerful and useful service that associations websites can provide their members. That’s the theory, anyway, but what about the practice? Join a panel of association executives sharing lessons learned from their own Web 2.0 initiatives: the barriers they overcame, what worked, what didn’t, and what they’re planning next. Tightly integrating content management processes and technologies into your association can unleash the strategic potential of your Web site. The key is to understand how to best create value for members and contribute to your mission by tying these technologies and processes together. Join our panel of association executives to learn how they successfully integrated content management into their organizations, and how these models could apply to your association. Looking for a website overhaul or significant improvements and want to understand the range of possible strategies? Based on the hit MTV series Pimp My Ride,this session pits 3 consulting firms against each other to re-imagine an association website and online strategy. Best of all, you get to vote the winner! What are the most important things to do to guarantee success of your technology project? Join an experienced content management expert for a discussion of the most important success factors. Match wits with your peers as the audience develops its own “Top 10” list to compare with the presenter’s. Dave Coriale, President, DelCor Technology Solutions, Inc.
Marketing and communications managers – and senior executives – are increasingly using web analytics and search analytics to measure performance and understand visitor intent. Join an analytics expert to understand how the changing web can still be measured. Our second panelist will explain “Smithsonian 2.0.” Your organization has worked hard to establish itself as a trusted resource but Blogs, Wikis, and community-generated content are challenging conventional notions of trust and reputation. Learn how the Smithsonian American Art Museum’s Web strategy balances caution and risk in the pursuit of relevance in the Web 2.0 era. Bigger is often better, but it’s harder, too. Join a panel of experts who have managed websites of a quarter-million pages or more. How did they develop efficient workflows? How did they know what they were publishing? How did they deal with super-intense performance and integration needs? Of course you want better Google rankings. But you also need an automated CMS. Will running a content management system hurt or help your SEO efforts? Join Randy Woods, a CMS/SEO expert, as he looks at how to configure your CMS at a site, template, and page level to achieve better SEO results. Enterprises now need to understand how to manage content in a truly interactive environment. It’s not just management of web content to talk to your customers, it’s understanding how to successfully manage video, mobile content, blogs, wikis, podcast and widgets to allow your customers to talk to your customers. This means enterprises need to change the way they are creating, tagging, storing and distributing their digital assets. This session will discuss trends in managing content in the Web 2.0 world, examples of how enterprises are doing it today, and a vision of how it might look in the future. While the web is an important vehicle for content delivery in today’s environment, paper is also important and there are more and more requirements for delivery of content via mobile devices. Multi-channel publishing is not as simple as repurposing content. This sessions provides guidelines for developing a multi-channel publishing strategy that is cost effective and efficient. You’re curious. You want to know. What’s up with Microsoft Office SharePoint (MOSS) 2007? Join 4 expert consultants with hands-on MOSS 2007 experience who will explain what they love about the new SharePoint, what they hate about it, and some little-known nuggets about this powerful but sometimes perplexing platform. Many European governments have experimented with new content and accessibility guidelines. What can we learn from their experience? Join two specialists who will discuss the pros and cons of recent guidelines enacted in Holland, the UK, and Denmark. Moderator: Mary Laplante, VP Consulting, Gilbane Group, Inc.
Tagging, Folksonomy, Taxonomies: What, How, and When? Recently there’s been increased interest in “tagging.” The idea is simple: users associate words and phrases with content. On one end of the spectrum, there’s taxonomy: a hierarchical categorization scheme established as an organizational standard. On the other end of the spectrum, there’s folksonomy, where users free-associate whatever tags they wish to the content. Sounds straightforward, but does it work? Is one approach better than the other, and how do content management tools help or hinder the process? Many questions arise around tagging as development teams implement tagging tools and services. In this presentation, expert information architects Theresa Regli and Thomas Vander Wal will discuss the current state of tagging, discuss and debate the advantages and disadvantages of both taxonomy and folksonomy, and how both can augment your existing practices and provide new avenues of discovery. Integration challenges and tagging applications offered by the various CMS products on the market will also be covered. What is “ECM Lite” and how can you start today? Does “enterprise” content management have to mean heavy and expensive? Not always. Join a leading ECM guru who will step you through the pros and cons of implementing one of the newer, lightweight ECM solutions on the market. The new XML standard from OASIS called DITA is being adopted at unprecedented levels in the technical communication industry. But DITA is not just for technical communication. As an XML standard that supports web-based content delivery, reuse and globalization of content, it is a standard that can be adapted to many types of content. This session introduces DITA, explains the benefits of DITA and outlines how DITA can be used. Case studies will be used to illustrate concepts. As the volume of digital content expands geometrically, search technology remains at the forefront of information management planning. But is search technology really keeping up? Will simple appliances like Google’s OneBox solve your complex enterprise search needs? Join a search technology analyst to review the current technology landscape and assess your options for selecting new search technology — or making better use of what you have already. …and win a free iPod! Bring your toughest, thorniest, most intractable content technology conundrum or content management project challenge to the session. A team of experienced consultants will compete to offer you the best advice in 2 minutes or less. The attendee who most successfully stumps the consultants wins an iPod. Everyone agrees that effective governance is essential to effective websites, but everyone wants to know: who’s dong it well? Come explore some alternate governance models before deciding what might work best for your agency. Tagging is big. It adds real value to content by making it much more findable and citizen-centric. But how do you get contributors to tag? Join some federal web managers who can share different approaches to making sure that web content is properly tagged. This session will offer an analytical overview of the challenges of redesigning a website front end and back end at the same time. It will examine 2 different approaches from separate federal agencies to draw some conclusions about whether and how to synchronize graphic redesigns with Web CMS implementations. Many federal agencies struggle to obtain significant business value from their portals. Whether internal or external, portals can be confusing for customers to use, hard to implement, difficult to manage, and expensive to maintain. Enterprise Portal technology provides the infrastructure and framework for integrating information and processes across organizational boundaries. But, all portal technology is not the same, and successfully implementing a portal can prove challenging. Gain a better understanding of how enterprise portal technology can benefit your organization. Learn how to determine the best COTS portal product to match your business needs. Discover lessons learned from several Federal portal projects and best practices for implementing portal solutions. Many federal agencies struggle today to deliver truly user-centric websites that serve their varied audiences with efficient and satisfying web experiences. Distributed organizational structures, unclear strategic goals, insufficient investments, and lack of adequate governance models limit their ability to deliver and maintain an effective online experience. In the commercial sector, the evolution of the web has moved with astonishing speed driven by a Darwinian imperative of “succeed or disappear.” Visitors to commercially successful sites now hold extremely high expectations for how effectively all websites should perform. To truly realize the promise of e-Government, federal agencies must quickly to learn how to adopt the lessons from the commercial sector into their own web initiatives. 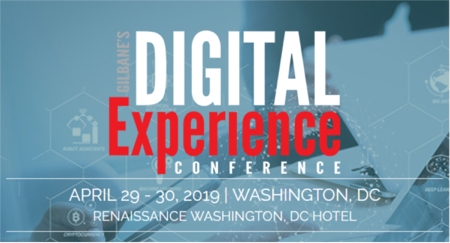 Drawing on experience with multiple federal and commercial enterprises, NavigationArts CEO Leo Mullen will share techniques for identifying relevant best-practices, building strategic focus, and driving change across siloed organizational structures. According to NARA there are more than 16,000 different file formats in use today in the US Federal Government and this ever-changing set of records has raised critical issues regarding their trustworthiness and accessibility now and into the future. But, just evaluating records management tools on a standalone basis is not a sound approach to solving the current E-records challenge. Ms. Emery will address strategies for integrating records management into organizations’ business processes along with IT governance and applications taking into account both present and future requirements for access and regulatory compliance. Through the Federal Enterprise Architecture (FEA) OMB has published a variety of Architectural Reference Models to government agencies. These models are designed to facilitate the coordination and awareness of cross agency capabilities. The Data Reference Model (DRM) in particular describes in some detail how the agencies can integrate and share content. This presentation describe the DRM for the layperson content manager, and offer some perspectives on technical architectures to realize greater content interoperability. What are your key product choices (portals, search engines, CMS, et al) and what’s the difference between them. While much is said about ECM being expensive and difficult, few can agree what ECM actually is. In this tutorial, ECM Guru Alan Pelz-Sharpe will guide you through a step-by-step approach to analyzing your needs, and then matching those needs against the right ECM product set. He will provide an in depth non-partisan view of the current ECM market and look at the strengths and weaknesses of the leading players, along with sharing methods and strategies to ensure project success. Alan will share actual selection techniques, projects methodologies and sample deliverables. Measurement is the key to management…and success! But measuring the effectiveness of your website is not simple. Analytics guru Phil Kemelor will offer a primer outlining the how to start and run an analytics effort, and assess the surprisingly diverse set of technology options. The session will conclude with a critical examination of the analytics marketplace and offer best practices for your analytics program. Everyone agrees that taxonomies are critical to effective document and web content management, useful portals, and good search results, as well as essential to proper records management. But how do you successfully go about the messy business of creating taxonomies, especially at the enterprise level? Noted taxonomy guru Theresa Regli will lead you through a practical, step-by-step approach to crafting enterprise taxonomies, demonstrating actual project methodologies and deliverables. Instructor: Shawn Shell, Principal, Consejo, Inc.